Background: Hilgenberg was an exception to the rule, a guy who was such a sound technician that he was able to overcome a lack of size. He played at 245 to 250 pounds on a 6-foot-3 frame. He was exceptionally smart as well. Hilgenberg had the pedigree. His uncle, Wally, played 16 years in the NFL with Detroit and Minnesota. 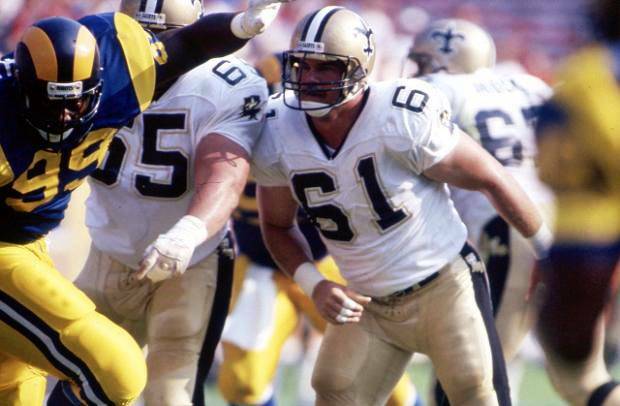 His brother, Jay, played 13 years in the league with Chicago, Cleveland and finished up his career with the Saints as a teammate of Joel’s in 1993. 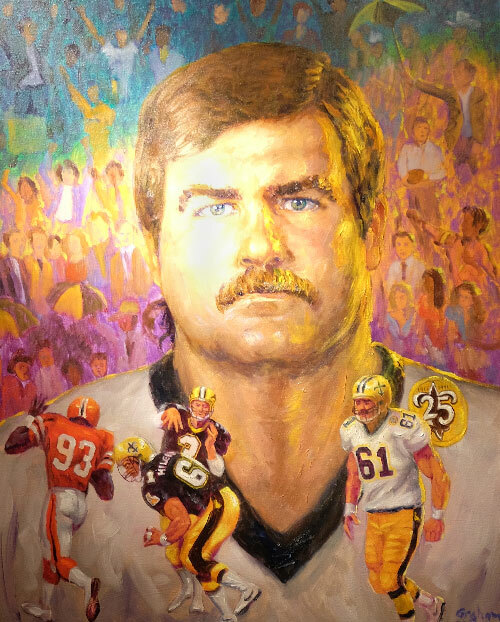 Hilgenberg was initially a reserve player, starting just seven games in his first three seasons but he became a starter in the magical 1987 season, starting all 12 games in which he played as the Saints posted their first-ever winning season and made their first playoff appearance in franchise history. He played in 142 games for the Saints over 10 seasons, which ranks 15th in New Orleans Saints history. Hilgenberg was a starter an integral part of four playoff teams in New Orleans, the first four in franchise history. Greatest Moment: There is no significant moment that defines Hilgenberg’s career but he cited the 20-16 win in Pittsburgh on Nov. 29, 1987 to clinch the first ever winning season in franchise history as a special moment. Honors: Hilgenberg was inducted into the Saints Hall of Fame in 2006. He was a Pro Bowl player in 1992.